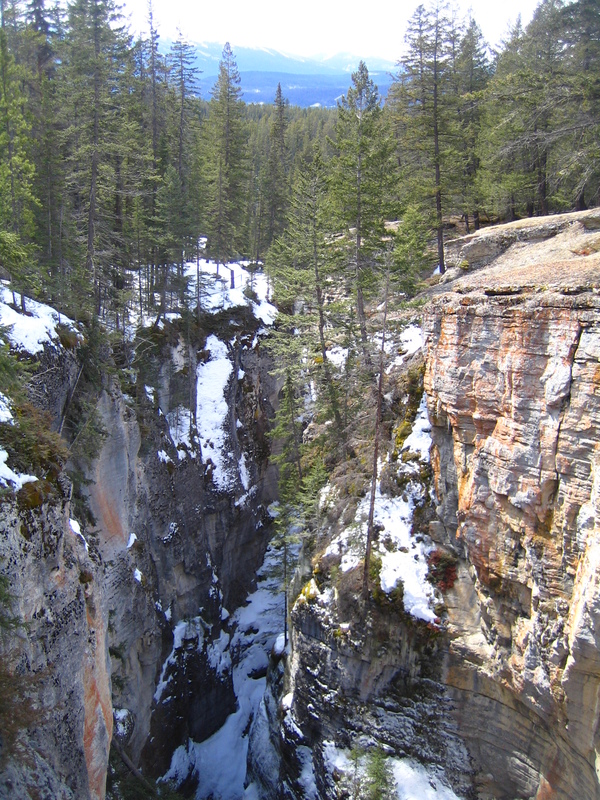 Having seen the canyon from up above, (during my biking expedition), and noticed many footprints down below, it took mere nano-seconds of my gigantic Holmesian-like intellect to deduce there was some walking type activity on the frozen river that would gush through the many gorges of Maligne Canyon in the summer. Old eagle eyes here quickly spotted the posters advertising such tours in downtown Jasper (located just a footstep away from uptown Jasper - not a big place) and booked in. What to say? It’s very weird walking on 12 meters of thick ice, knowing that it wont be there in a few months - maybe even a few weeks. Very quiet. Very eerie. There was an ice cave in the overhang of a frozen waterfall, strange undulations formed by the progressive layering of ice over the winter and many cracks and drips where the defrosting had already begun. All very serene - until I fell flat on my arse and nearly slid into an ice pool.